Well we managed to get one more winter craft in after all, I thought the marshmallow snowmen would be the last. These are toilet paper rolls - painted white. Other materials googly eyes, scrap paper, sequins, scrap ribbon, pipe cleaner, pom poms. The base it is sitting on is a paper plate with glued on shredded cotton balls. We had a bag of open marshmallows that were getting hard. So I broke them out and let Z and her cousin make snowmen, especially since its calling for snow and this is probably the last winter/snow craft we will be able to get in. Real tea set, white lights, coloring pages, nail stuff, and a pretty glittered banner. Crown I threw together after I could not find any of hers. I have a surprised planned for each day of Feb. leading up to Valentines. Some of them cost a little and some were free and stuff I already have. All in all it ended up coming out to about $10 for 14 bags of stuff. This is something I have truly come to believe. 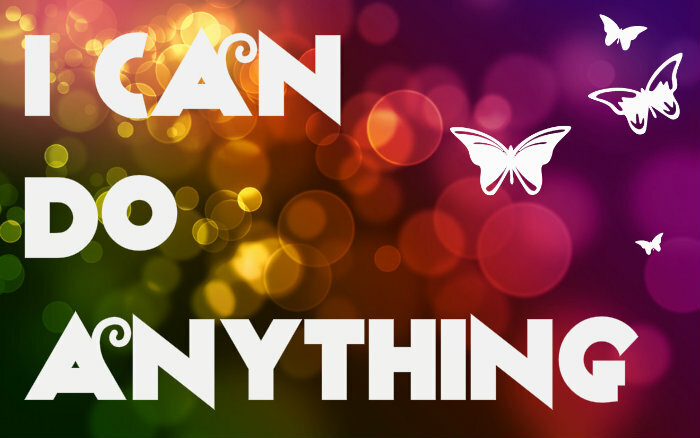 This does not mean that I HAVE to do everything... just that I can truly do anything! Cake: *some people prefer all purpose, I do not. So I used self rising. They still turned out wonderful* I also left out the vanilla extract. THIS RECIPE MAKES 28 CUPCAKES!!! 1.preheat oven to 350. Beat shortening, sugar, and eggs together. 2. mix ginger ale and orange juice. Alternating between flour and ginger ale mixture gradually add them to batter. 1. mix everything together. If too stiff add some extra orange juice one tbsp at a time until you get it the way you want. 2. I used the star tip and piped starting from the outside in a swirl. Then added clear sugar sprinkles and small sugar pearls.